The Geze Slimdrive SLNT automatic sliding door system can be almost invisibly integrated into any facade. The Geze Slimdrive SLNT automatic sliding door system, available from Hafele, offers a high level of integration. 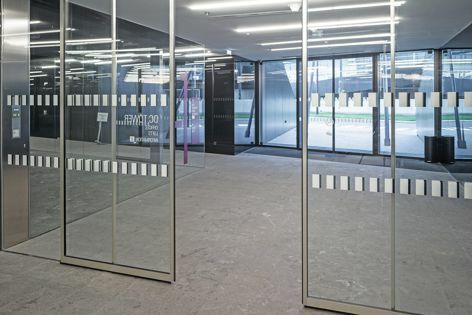 With a construction height of just 70 mm, the system can be almost invisibly integrated into any facade and is particularly suited to glass facades.